I am currently a Principal Software Engineer at Red Hat. I am primarily working on reactive things and the Eclipse Vert.x project. I am based in Lyon, France. I am “on leave” from INSA Lyon (Telecom Department) and the CITI Laboratory where I was an Associate Professor in computer science and engineering. I remain a member and Associate Research Fellow of the CITI Lab within the Dynamid team. I have held various teaching, research, managing and executive positions while at INSA. I have a long history in open source, having participated and created many projects. I enjoy being at the frontier between academia and industry. Since October 2018: Principal Software Engineer at Red Hat. On leave from INSA Lyon. Since November 2018: Associate Research Fellow at the CITI Laboratory from INSA Lyon. September 2016 to August 2018: Delegation to Red Hat to work on the Eclipse Vert.x project, thanks to an agreement between INSA Lyon and Red Hat. 2009 – 2018: Associate Professor (tenured) and Researcher at INSA Lyon Telecom and the CITI Laboratory. 2016 – 2017: Scientific Deputy Manager of the Spie ICS - INSA Lyon IoT Chair. 2014 – 2017: Deputy Director of the CITI Laboratory, in charge of the industry and society relations. 2012 – 2017: Manager of the IST program at INSA Lyon. 2011 – 2015: Contracting Technical Writer for Oracle Corporation. 2004 – 2009: Researcher and Lecturer at Clermont-Auvergne University (ISIMA) and the University of New South Wales. 2003: Intern at Michelin, working in the software methods and tools group. 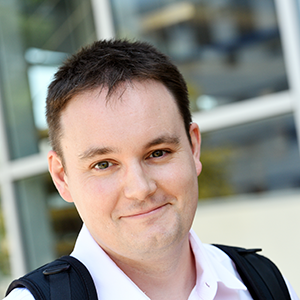 Patrik Fortier (Since fall 2017, funded by the INSA Lyon / Spie ICS chair on the Internet of Things), co-supervision with Frédéric Le Mouël. Programming language abstractions for the Internet of Things. Stefan-Gabriel Chitic (Fall 2013 – March 2018, French Research Ministry Grant), co-supervision with Olivier Simonin. Middleware and programming models for multi-robot systems, defended March 15th 2018. Stefan now works at CERN. 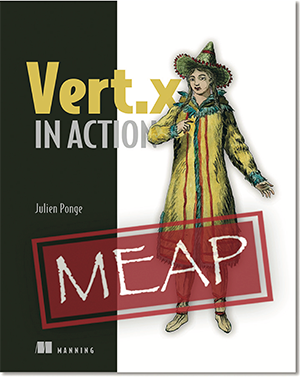 Eclipse Vert.x: reactive toolkit for the JVM. Developer and modules maintainer. Eclipse Golo: dynamically-typed language for the JVM. Creator. JooFlux: Java agent for dynamic aspect injection and method patching. Co-creator. IzPack: software package installer toolkit. Creator, long retired. These publications reflect some significant milestones of my research, not necessarily the value in terms of destination ranking. Check out my full publications page for a more comprehensive listing. Julien Ponge and Frédéric Le Mouël. JooFlux: Hijacking Java 7 InvokeDynamic To Support Live Code Modifications. Research report, 2012. arXiv 1210.1039. Julien Ponge, Boualem Benatallah, Fabio Casati and Farouk Toumani. Analysis and Applications of Timed Service Protocols. ACM Transactions on Software Engineering and Methodology in vol. 19, issue # 4. October 2010. DOI. PDF of a preliminary version. Hamid Motahari, Regis Saint-Paul, Boualem Benatallah, Fabio Casati, Julien Ponge and Farouk Toumani. ServiceMosaic: Interactive Analysis and Manipulations of Service Conversations. In International Conference on Data Engineering (ICDE’07). Istanbul, Turkey. April 2007. PDF. 2008: 🇦🇺 PhD under cotutelle agreements, University of New South Wales. Locally supervised by Boualem Benatallah. 2008: 🇫🇷 PhD, Clermont-Auvergne University. Locally supervised by Farouk Toumani.